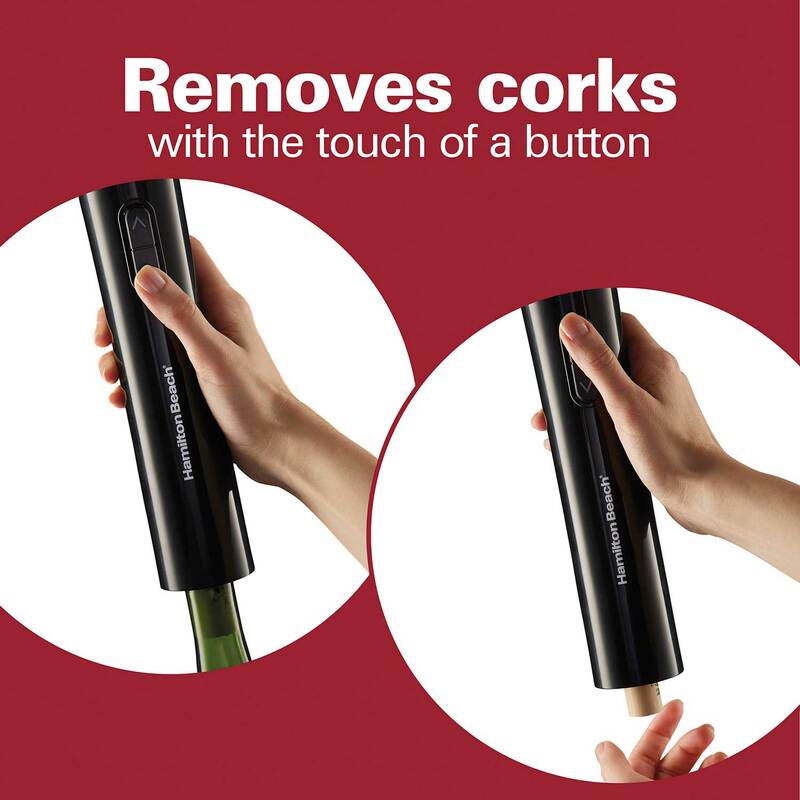 Removes corks with the touch of a button. 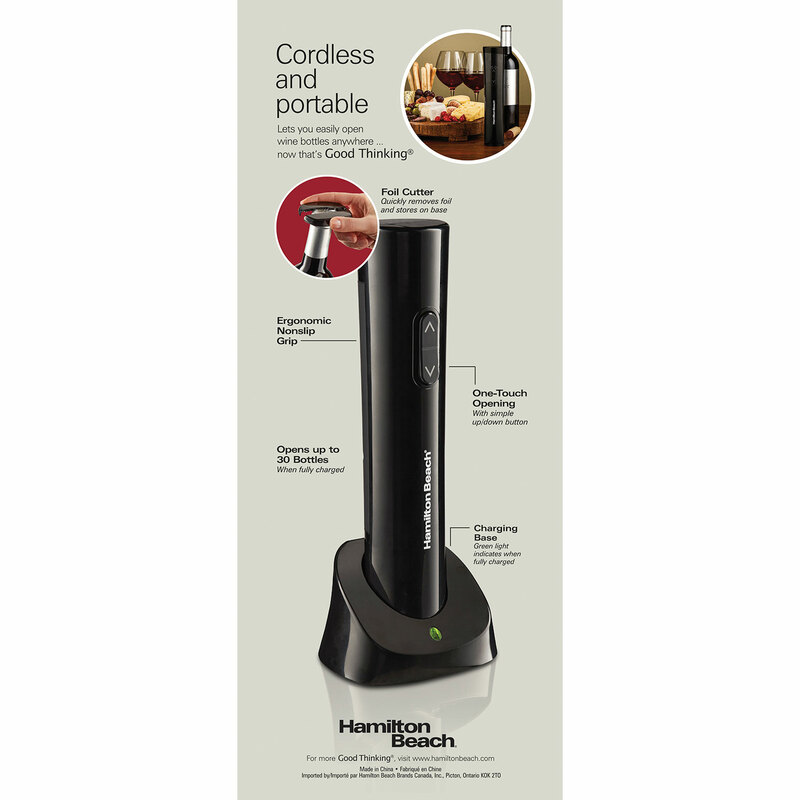 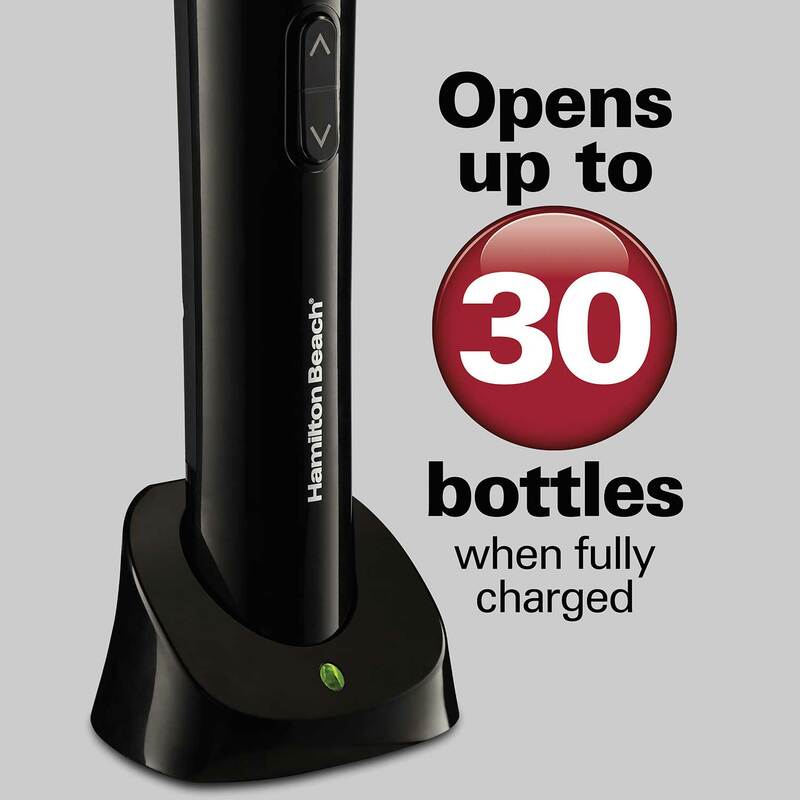 The Hamilton Beach Cordless Electric Wine Opener uncorks bottles with just the push of a button. 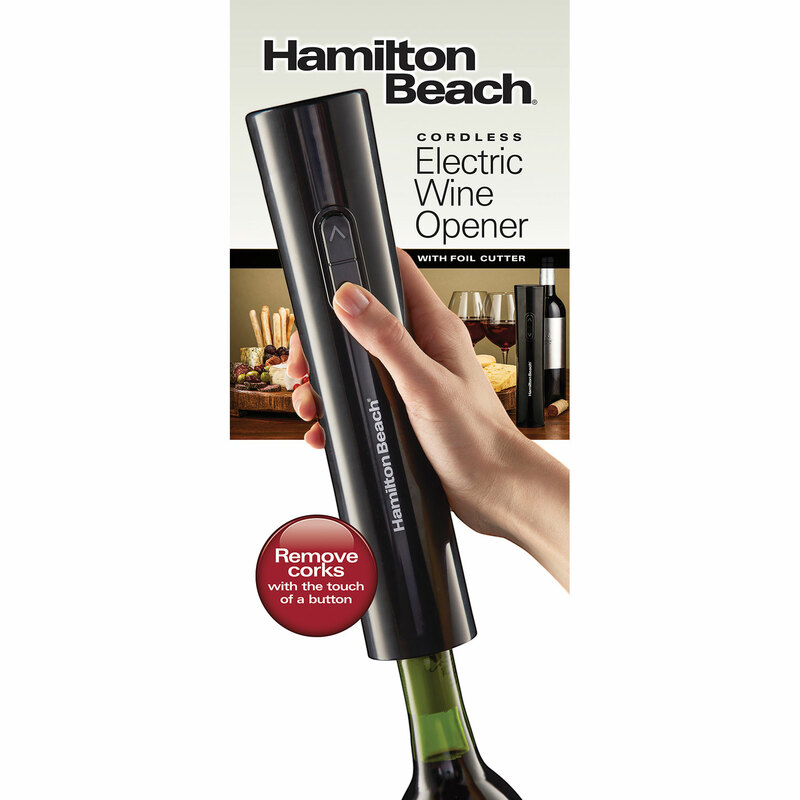 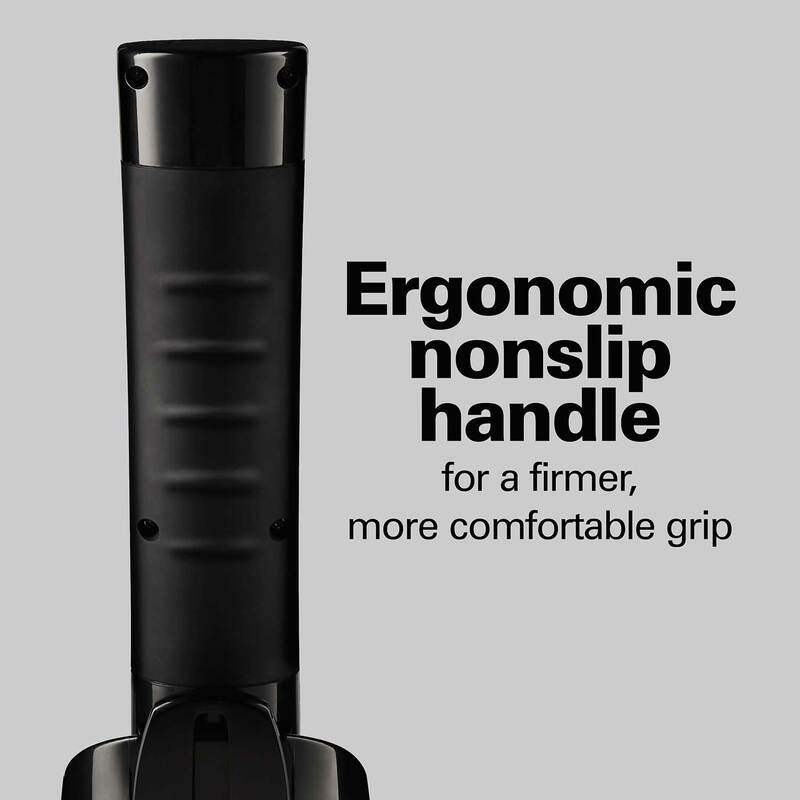 It is cordless and portable, so you can open bottles of wine in the kitchen during holiday parties or out on the deck for summer cookouts. 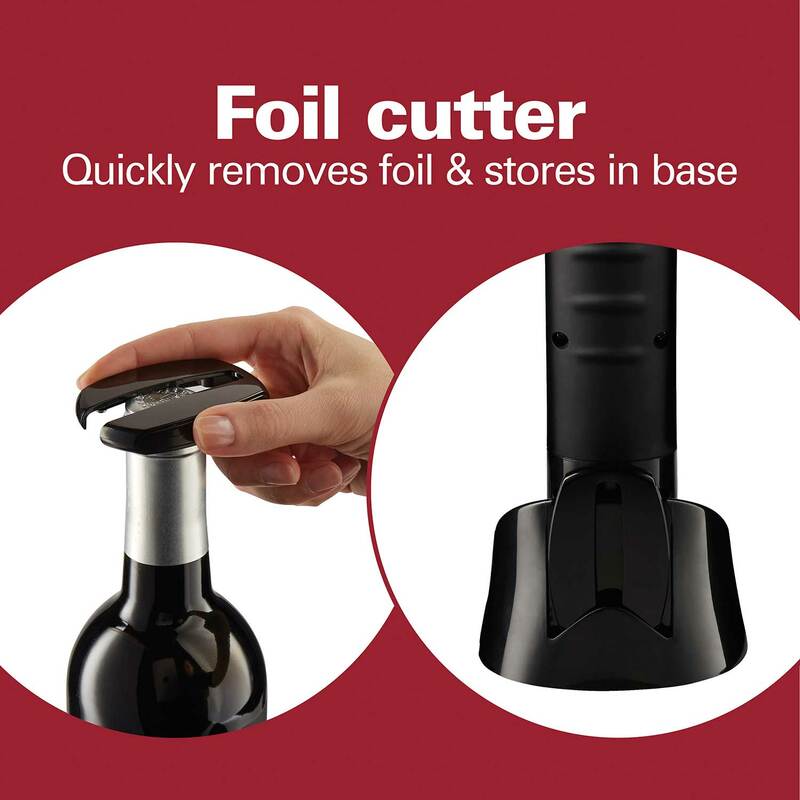 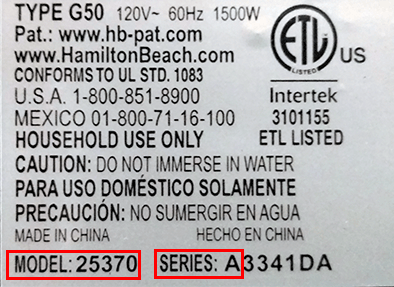 A foil cutter and recharging base are included. 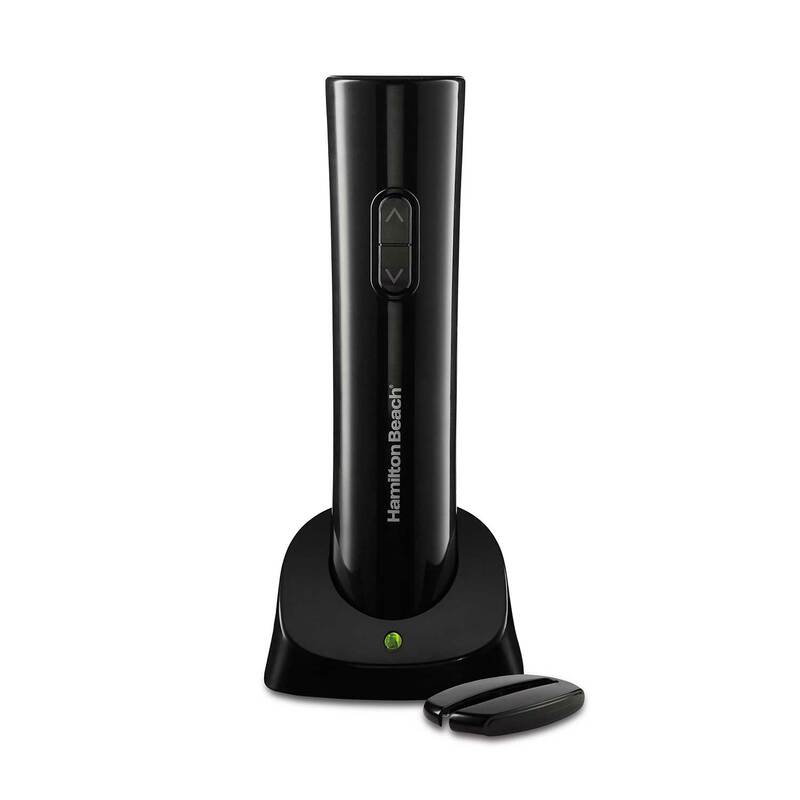 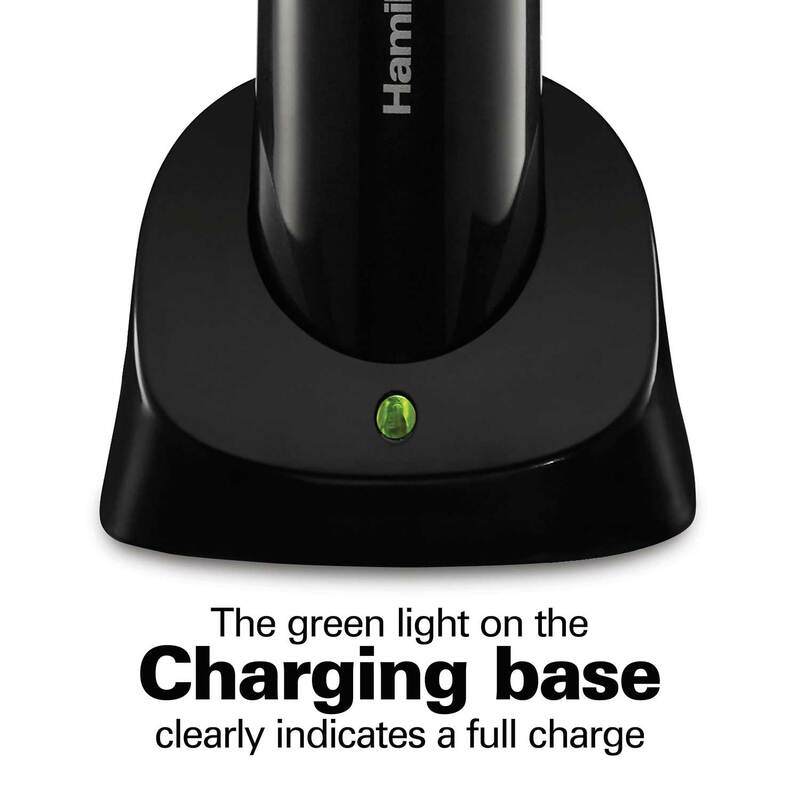 Place the electric wine opener on the charging base when not in use; the green light lets you know when the unit is fully charged. 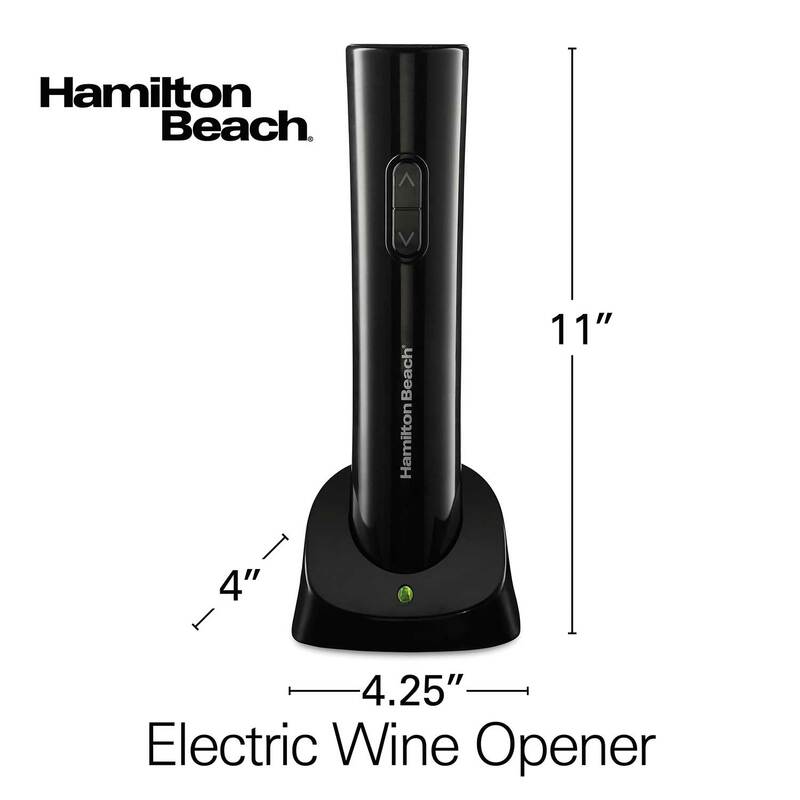 The electric wine opener can open up to 30 bottles when fully charged.